A kerfuffle between one of my coaching clients (a VA) and one of her clients had me scratching my head, which, in turn, has led me here to write for you. While I’ve never heard a client confused about this, I always figure that if there’s one person confused by it, there are others. In case you happen to fit that bill, this is for you. My retainer is $500 per month. It includes 10 hours of my time. Unused hours are non-refundable and do not roll over to the next month. Unless a VA sells you a package which includes a list of certain deliverables (not something you’ll find much of with AssistU VAs), what you’re buying from a VA is time. In this case, he was buying 10 hours of time. The time he can fill with conversation, brainstorming, research–all sorts of things. 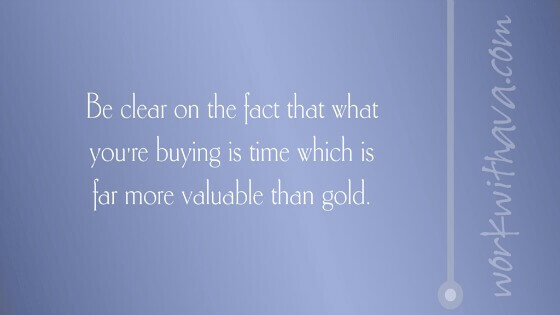 But the core of the purchase is time. Although the agreement he signed was clear, the client I mentioned above didn’t understand that. And when he didn’t use all the time he’d bought, he didn’t like that it wasn’t credited to the next month, and he couldn’t get a refund. Buying time is a wonderful thing. Today, as in no time before time is a most valuable and prized possession. Countless people would give nearly anything for more time. And it’s pretty much genius that that’s exactly what VAs sell. And it’s cool when you buy time from a VA, because although you pay for one hour, you actually immediately get two for every one that you buy–one that your VA sells you and that you can fill with whatever you would like to have done for you, and one that belongs to you and that became free the minute you cleared your plate by giving your VA things to do for you. The downside is that you immediately get two hours of time for every hour of time you buy from your VA–one of hers and one for you to use. 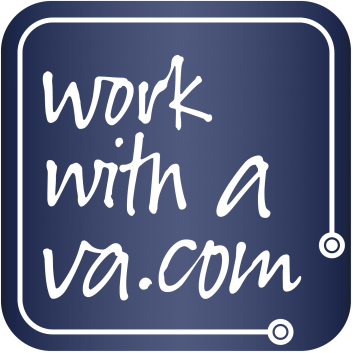 If you’re not doing that, you’ll likely not find working with a VA valuable. So it takes a bit of thought and consideration and planning. A good time to begin doing that is before you bring a VA into your business because that will get you off to a roaring start, and give you some momentum, and the inspired action that follows from it should create more action to be taken. But let’s say that you didn’t do that, and you find yourself struggling now to fill the hours. Or, let’s say that you did that in the beginning, have ticked off all the items you originally had on your list, and can’t think of more to do. It’s still your responsibility to fill the time you purchased. When you’re struggling (or, if you want to be smart, even when you’re not struggling), ask your VA what she sees from her perspective. Ask your coach for help with some dream building and goal setting. Ask your family what they wish you could do with them or for them. Chances are the external perspectives will help you figure things out. But if not? Consider whether that’s just because you’re hog-heaven happy about where you are right now, and all that needs doing is maintenance on what’s in place. If that’s the case, and you’re not using all the hours you’re retaining from your VA, ask her if you can reduce them. She may have a minimum, so be prepared for her to say that she won’t be able to accommodate that request. But ask; you’ll never know till you do. Knowing the answer will help you decide whether continuing to work with her is what you want to do, or if you’d rather find someone to work with who can create a smaller retainer for you. In case it’s helpful, I’ve known clients who have moved on when in that situation, of course, but I’ve also known clients who have continued to work with the current VA, and have been fine with paying for more time than they can use. Why? First, because they value the relationship. And that valuation is higher for them than would be the money saved. Second, because they believe that at some point, things will shift again and they’ll need the time they’re currently unable to use. Keeping the time and not using it it is far easier for them than risking that the VA won’t have more to give at a later time (think about the fact that if you let the hours go, she’s going to find a client who wants them, which changes how much “extra” time she will have for you). Third, they like knowing there’s one special person to turn to with things they do think of—even if it’s not enough to fill the retainer. Because she sold it to you, for you to use, and she couldn’t also sell it to someone else. So if you don’t use it, but she was available, it’s unreasonable for you to think it should roll over or be refundable. It’s not fair to ask her, and more importantly, it’s not the way her business is set up. If you agree to her policy that unused hours aren’t refundable and don’t roll over, it’s inappropriate for you to try to get her to do it. Need more? Consider that every one of us has something we pay for every month that we don’t use at all, or that we don’t use fully—and which is on a “use it or lose it” basis. It might be the quart of milk that expires before we’ve used it all. It could be a gym membership that includes three private yoga classes, but where we only make time for two and lose the other. It might be a parking space available to use 24/7, but that we only use when we’re at the office. It might be a program we bought that’s been sitting on the shelf for months. It might be a subscription to a magazine we mean to read but never do. And we can look at that as business owners, too, right? Chances are there are limits to your own service and product offerings. How would you feel if clients agreed to your terms and then got pissy with you rather than accept responsibility for their own experiences? The point is that we’re all used to how this works in the world, and we accept the responsibility for using what’s available, or we get over losing what we didn’t use. Unfortunately, many have not caught up to the fact that working with a VA on retainer fits that model, too. Hopefully, something I’ve shared here has been helpful. If you have questions, I hope you’ll ask them!